Focus on the client, sharing best practices and team collaboration. 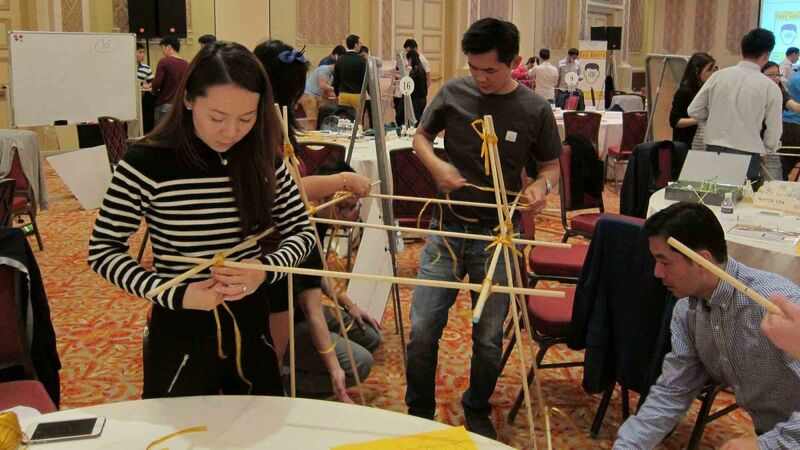 Leading financial services company, Sun Life approached Team Building Asia with the task of customising an activity on how to provide excellent client services. 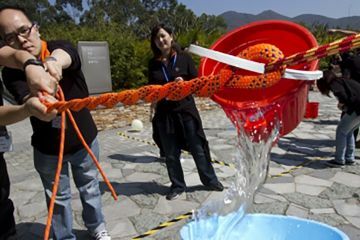 This called for Bridging the Divide, a unique team building activity where participants and teams are both the supplier and the customer at the same time. Their task is to design and build a giant elevated circular bridge. To add further challenges, teams were only allowed to communicate with their customers by conference call and human email. Teams were assigned specific parts of the bridge. 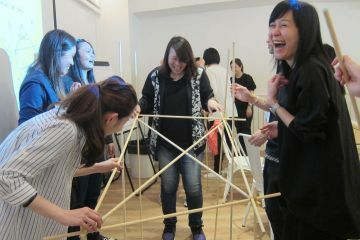 They were given instruction manuals, the materials and tools required to build their respective portions. Various roles were quickly assigned and resources assessed to ensure a building plan was clearly drawn out. As the deadline drew near, teams hurried to clarify final details and added finishing touches to their portion of the bridge. 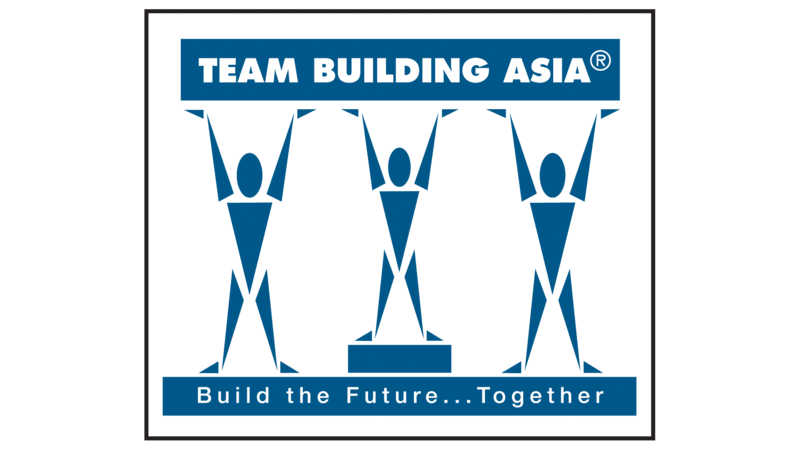 At delivery time, teams brought their finished portion to the“client” who verifiedthat it had been built according to plans. Excitement mounted as the bridge was assembled and laughter erupted as some portions didn’t turn out as expected. The activity promoted the need to provide a “Can-do” attitude to clients and to clarify and verify regularly to meet their specific needs. The whole event signified what can be achieved by working together towards one unified goal, as delegates posed for a group photo with the magnificent circular bridge. In line with TBA’s Green Charter, the bridge was then disassembled and the cardboard recycled.